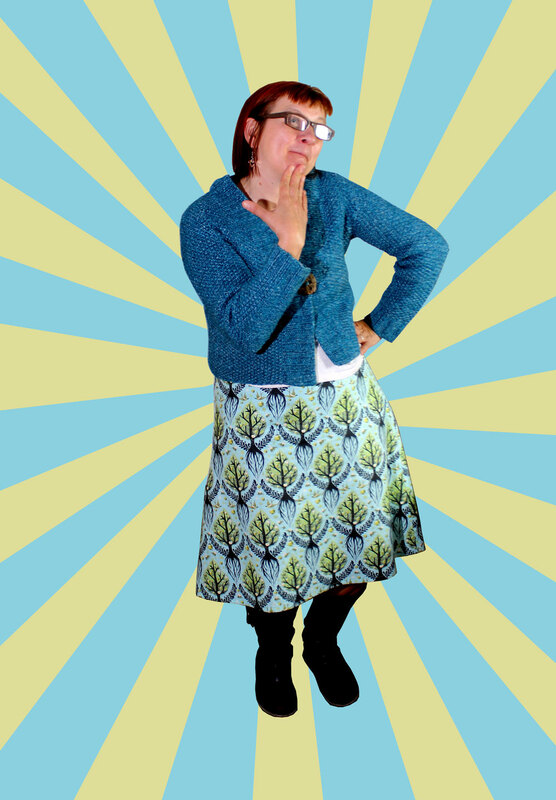 Yesterday I wore an Amy Butler Barcelona Skirt that I made last year using some very nice Freespririt fabric called Tree of Life, I am also wearing a MeMade cardigan,a chunky moss stitch cropped cardi that I made about 2 years ago, so long ago that I can’t remember the name of the pattern or the make of the wool! Today I wore the Cake Red Velvet Dress that I made a couple of months ago using some of our new cotton jersey fabrics, this Red birds on blue fabric has proved REALLY popular so if you want some grab it now as when it is gone, it is gone! 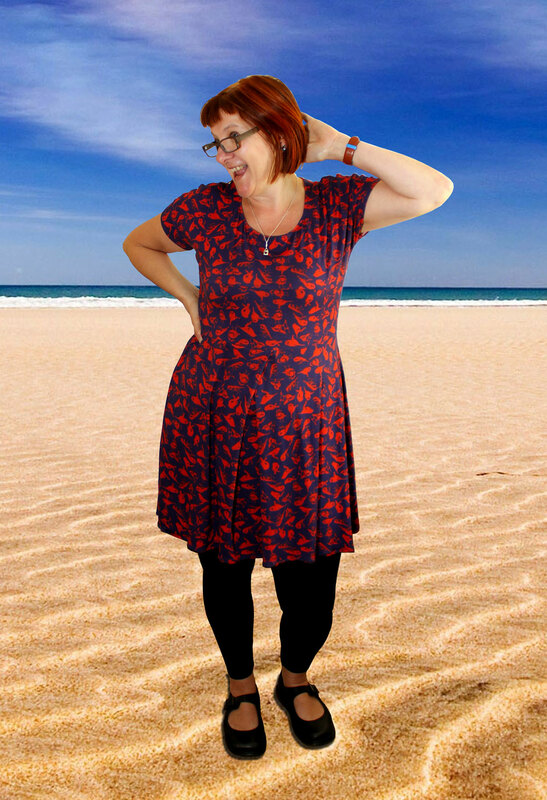 It would be lovely if I had spent today on a beautiful beach but, alas no, it is photo-shopped, mr LLM is having a great time with all the photos of me that he is taking, he say’s I look like Thelma from Scooby-Doo!